Consistently ranked as one of the great golf courses by golfers as well as Golf Digest and Golf Magazine, the Tidewater Golf Course is truly a legend in its own time. The same can be said for the homes of Tidewater Plantation. In North Myrtle Beach’s Cherry Grove section, the community of Tidewater Plantation offers a variety of homes, from affordable houses with views of the greens, to upscale homes with views of the marsh and natural ponds. You will also find elegant luxury homes on the waterway that are gated and private as well. There are even some condominiums and townhomes sure to fit just about anyone’s needs and budget. 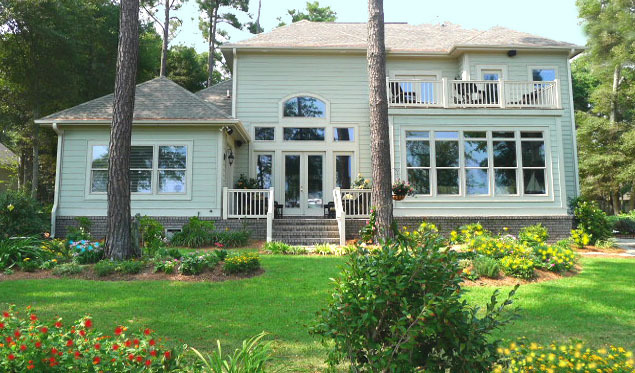 Plantation Homes - feature custom built in harmony with the natural surroundings. The Bluffs - offers a gated neighborhood of luxurious homes on the golf course, with lush views of the golf course, lake, and marsh. Courtyard Park - reasonably priced stucco homes with a tight-knit neighborhood feel. Harbor Lofts - features homes with Waterway access, and a neighborhood boat dock. Some homes have their own private docks. Lighthouse Village - comprised of cottages and fairway homes on a hill, with pastoral views of the golf course, marsh, and Waterway. South Island - consists of large extravagant homes sitting between the golf course and the Waterway. South Island has its own amenity center. Convenient to the beautiful Cherry Grove Beach as well as all the sensational shopping and entertainment the Grand Strand has to offer, Tidewater is a great place to make yourself at home. For more information on Tidewater Plantation homes or other great North Myrtle Beach homes for sale, give us a call today. 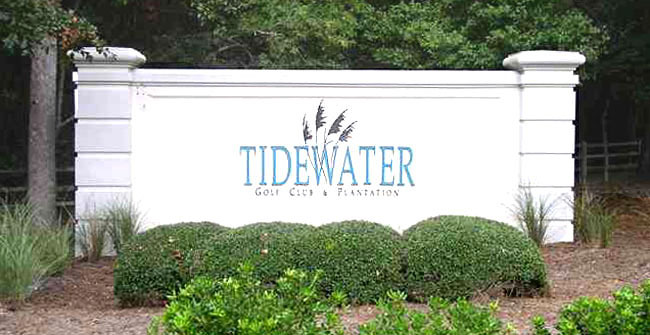 For information on Tidewater Plantation condos and townhomes, see our CONDOS pages. Listing courtesy of Realty ONE Group DocksideNorth , The Bishop Team. Listing courtesy of Beach Living Realty , Phyllis Gamble. Listing courtesy of Sea Oats Real Estate , Cynthia Stanley.